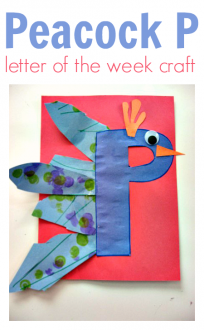 I have had the idea to do this craft for at least a year, I don’t know why but other things keep being done instead. 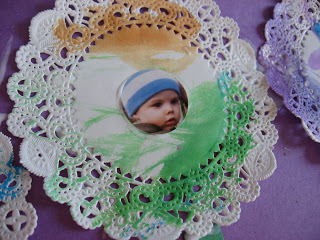 When I bought these doilies for a fancy flower garland I did on Crafitivity Corner I knew they would be perfect for this craft and I finally got my act in gear and made it! Gather your materials. 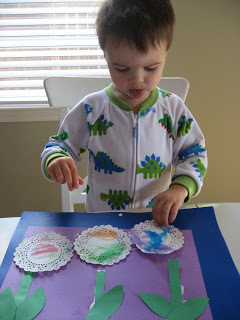 You will need 2 pieces of construction paper(one should be green), a doily for each flower, water colors, a dish for water, glue, scissors, photos of your family and a circle paper punch if you want. 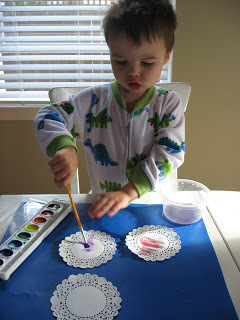 Start by painting your doilies with the water colors. 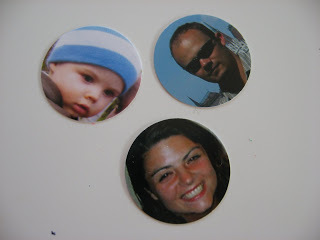 While your little one is painting, cut out the faces of your family. 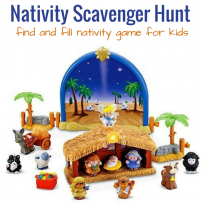 We just did Mom, Dad and Kiddo but extended family or friends can be included. Let your child decide, it’s interesting to see who they include. Set the flowers aside and let dry. 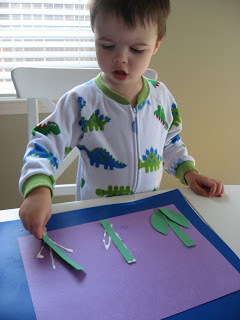 Add glue to your paper for the stems and leaves, I added it as a guide for my son. He’s been rather free with the glue lately! We’ll have to channel that into a more open ended activity later this week. 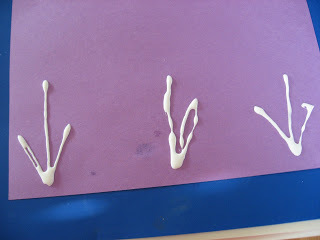 Add more glue for the flowers- this time I gave it to him , this is about 2% of the glue that made it onto the paper and is still drying 5 hours later ! He didn’t eat it though so it’s progress. Let dry and watch your family bloom! 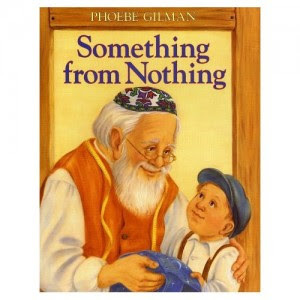 “Something from Nothing” by Phoebe Gilman is one of those books that you read and think oh I love it, but will kids? I am here to tell you yes! They love this old Yiddish folk tale about a little boy, his very special blanket and his grandfather who made it for him. Over the years Joseph’s blanket transforms into a jacket, a vest, a tie, and handkerchief and finally a button. The story is beautiful and kids love not only the repetitive text when the grandfather is sewing but also the continuing storyline of the mice that live under the floor boards who use the scraps of material for all sorts of things. There are no goofy gimmicks, no lights or sounds just a great story and beautiful illustrations in this gem! A fantastic book about family and growing up. 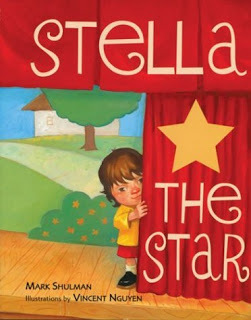 “Stella The Star” by Mark Shulman is a tale about a little girl who is a very important star. Stella is in her school play and when her teachers sends home a note saying she is the star her parents assume she has the leading role. They are proud as peacocks even when they discover she is not the star of the show exactly. What I like about this book is that the parents seem as proud and loving after discovering their daughter has a small part . It’s a lesson to everyone that what’s important is doing your job, or role with all your heart and not whether you are in the spotlight that’s important. 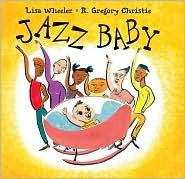 “Jazz Baby” by Lisa Wheeler had my son clapping and be bopping in his jammies before bed. This book is so fun to read, the musical words are impossible not to dance to. My son loves jazz, and his only disappointment was that there were no trumpets in the book. He didn’t understand that the family in the book , which included grandparents, aunts , uncles and cousins were listening to a record. I tried to tell him it was like a cd but the illustration was clearly a record player and he wasn’t buying it. Still we loved this book , the family was loving and I loved that the older brother was holding the baby, not common in kids books to see a boy holding a baby. Great book even without a trumpet. 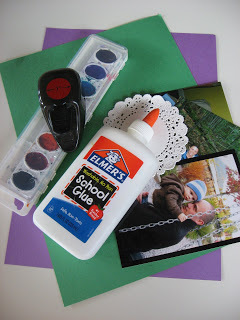 Previous Post: Parent’s Corner Extra ! Something from Nothing has always been a huge favourite of mine — ever since I was tiny and my school librarian read it to our class. I love the little mice in the borders making little things with the cloth. So green! So eco friendly! I love it! Desiree – I am so glad you know it, so few people I run into do! When I read it to my PreK class they would fight over sitting right next to me so they could see the pictures of the little mice. 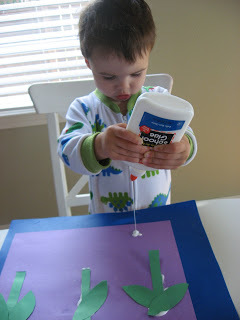 Lis- yes we spread glue a lot around here too! 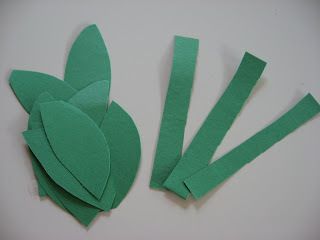 We just did a non-fiction gardening theme in Literacy Launchpad. 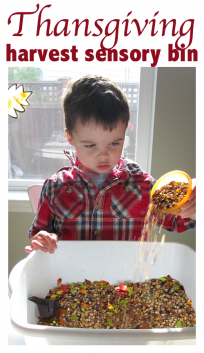 A little different from the idea here, but this activity could be incorporated or modified. 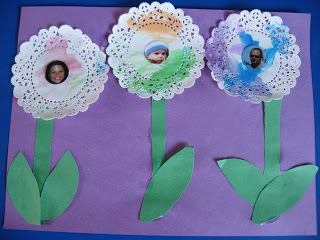 Our favorite garden read was Whose Garden Is It? by Mary Ann Hoberman. Oh my goodness. This is so cute. I might have to file this under ‘things to do for grandparents’ or ‘things to do for daddy’s day’. Awesome. I was wondering what to do with all my doilies, and I just found my watercolors! Sweet! And I put all those books on hold at the library. They sound great. We love “Something from Nothing” at our house as well. Thanks for the other suggestions. We will have to check them out. Just stumbled across your blog. LOVE IT.